When the Nissan Leaf debuts in America this year, its MSRP will be comparatively less than the same model selling in Japan in Europe. Automotive News says that Nissan officials are explaining this by stating that differences in local taxes and additional incentives will make up the difference in cost within the U.S. market. 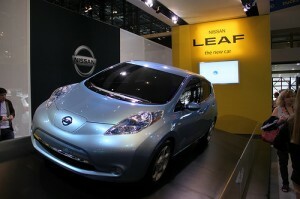 Trisha Jung, chief marketing manager for Nissan’s U.S. electric vehicle sales, said that analysts who are suggesting that the Nissan Leaf is priced to low “don’t have all the information” such as the long-term impact of incentives received to build the electric car at its plant in Symrna, Tennessee. However, analysts like John Kluza, a battery analyst at Lux Research, claim that the estimated MSRP in the U.S. market of $32,780 is too low when considering the costs of the battery pack, electronic components and production. Ford EV car users concerned about managing their energy consumption while recharging are going to get a boost from Microsoft. According to Automotive News, the software giant is working with Ford to develop an online application that will help EV car users manage their energy usage while charging their cars at home. 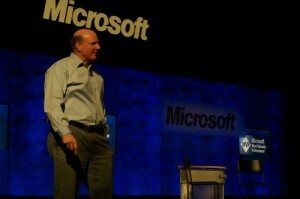 Ford and Microsoft made the announcement about Microsoft Hohm at the New York Auto Show yesterday. Ford is rolling out five EV car lines by 2013, starting with the introduction of the Transit Connect Electric later this year. Microsoft Hohm will be a free application for all Ford car owners that will help users decide when the best time is to power their cars. Microsoft CEO Steve Ballmer said the hope is that Microsoft Hohm will encourage people to power their cars in the evening, when there is less stress on the power grid and energy prices are cheaper.